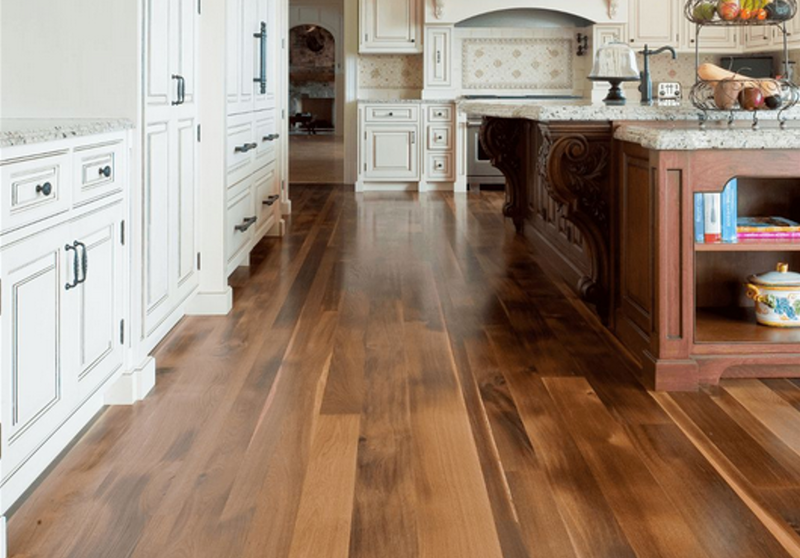 Laminate flooring for kitchens has come a long way. If you have an active kitchen with child traffic, pet activity and the occasional food spill then a laminate floor might be right for you. The durable surface of laminate looks like hardwood or tile but is much less expensive. Better yet, laminate’s surface resists scratches and stains and is easy to clean. Although laminate cannot be sanded, it looks so much like wood that even experts can have a hard time telling high-end laminates from the real thing. What Is It? Laminate flooring for kitchens is made of 4 layers: a melamine wear layer, a high-resolution photo, a dense core board, and a melamine backing layer. Together, these materials are what gives laminate its strength and durability. 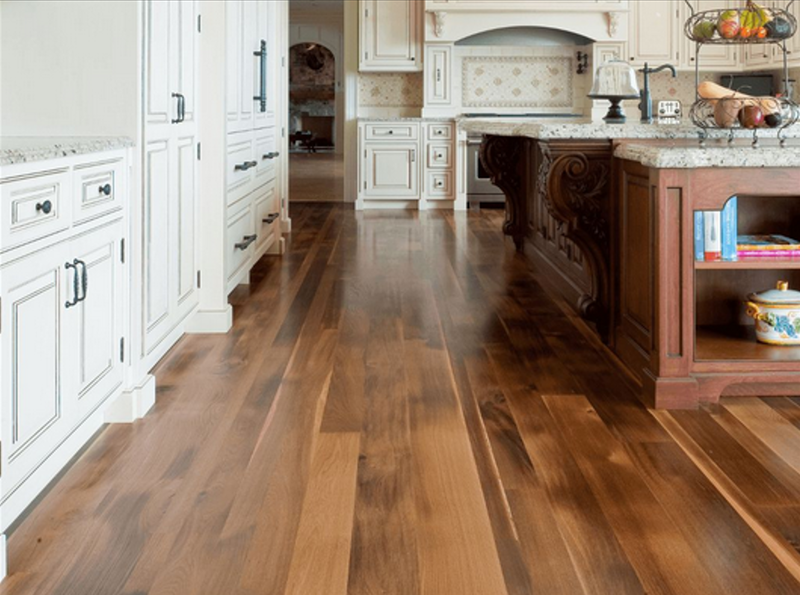 Durability: Laminate flooring for kitchens is an extremely durable material and can withstand a lot of heavy traffic and food and beverage spills. Cleaning and Maintenance: As with anything that you want to keep nice in your home, you should care for your laminate floor with regular clean-ups. Be sure to clean up food and beverage spills immediately. Sweep, dust, or vacuum regularly, and occasionally wipe the surface with a damp mop or cloth. Keep floors free of dirt and sand, as they can scratch the surface over time. Watch for separation between boards. Underlayment: Laminate requires an underlayment to dampen sound and to serve as a moisture barrier. Specially designed underlayment can even make laminate sound more like hardwood when it is walked on. Finish. Laminates come in a variety of finishes from glossy to matte. As a rule, the finish will generally not affect durability. Color. Wood-look laminate is available in a wide variety of wood stain tones from light to dark. Tile-look laminate comes in a range of natural looking earth and rock tones. Texture. There are now a wide variety of textures for laminate that even mimic the look of distressed wood and other materials. Shape. Laminate flooring for kitchens comes in strips, planks, or tiles and can be installed in various orientations for a one-of-a-kind look. Installation: Laminate flooring for kitchens is very easy to install and It’s eco-friendly; laminate uses less natural material than other floors. Many manufacturers are even incorporating recycled materials. And it’s low maintenance. Laminate requires no waxing or oiling over the years.